By now you should be familiar with what we do. 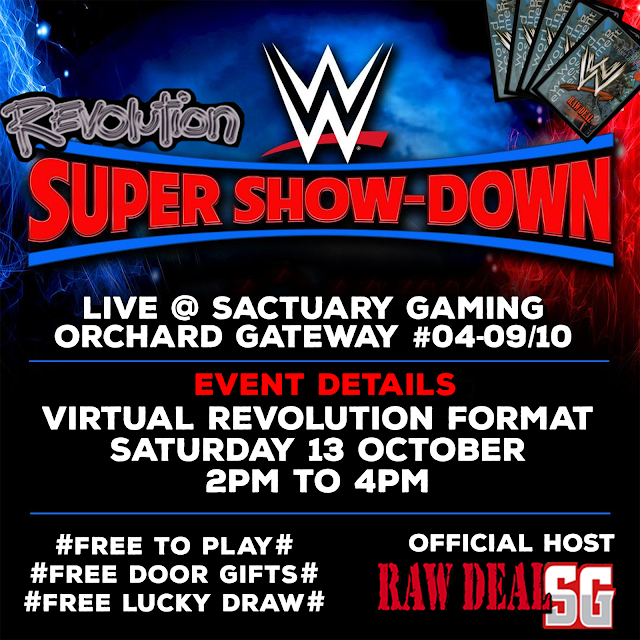 Each cycle will consist of 5 to 6 monthly tournaments held in Virtual Revolution format. Your position and participation in each of those tournaments will earn you points that you will rank you in our end cycle prize. 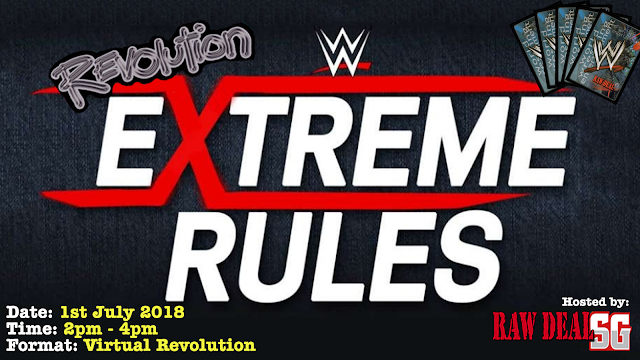 Last cycle, a total of 47 superstars were awarded to our 14 participants as end cycle prizes, excluding each tournament's individual winners. Will you be one of them to receive alt art superstars this cycle? As per last few cycles, players will be ranked and split to 1st tier, 2nd tier and 3 tier. To spice things up alittle, ranking for each tournament will no longer be decided by simple win lost ratio, but instead by opponent strength, which is the sum of all wins that your opponent get. Therefore if the 1st place has a score of 7-1, and that 1 lost went to the last place with a tally of 1-7, the last place will get 7 points, which was the total wins of the player that he/she won. We will then tally that score to rank players accordingly for that tournament. This ranking will directly affect your end cycle score and ranking too! After consultation with players, we decided to stick to the old scoring system, but we agreed to use this cycle as a test bed to see if the above is worth pursuing. Therefore, every player will earn a score equals to his/her wins per tournament + 1. At the end of the cycle, we will sum up the scores for each individual to rank as per above. Took me awhile to get the venue confirmed, but details for this Sunday's VR tournament is uploaded! 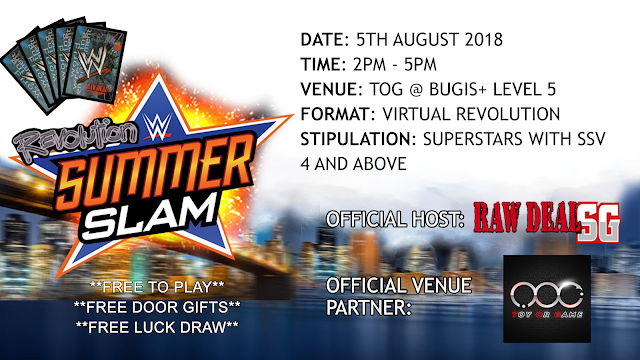 Note that since its Summerslam, one of the big 4 PPVs, the special stip for this tournament is that only superstars with SSV 4 and above are allowed. After the venue scare for August tourney, we will be returning to Monarch Affinity for this month's tournament! Note its on a Saturday! Tournament details are set for next week. Did something different for the banner this time round. Did it with reference to the real poster and it turned out to be good! Anyway, see you guys next Saturday! Today's tournament will be cancelled due to unexpected turn of events. 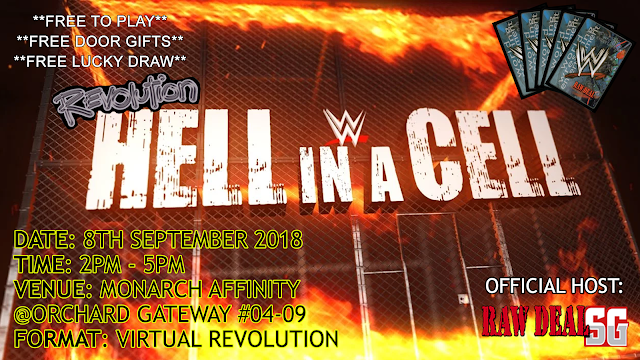 It will be rescheduled to another date, but I guess my taker and HHH deck wouldn't be thematic anymore!